Glonersbühelhof is situated at an elevation of 900 metres about 1 km from the centre of Westendorf. This sunny location is wonderful, and is at the end of a dead-end street. And do not overlook the ski piste that runs right behind the house! When there is enough snow on the ground you can practically ski right up to the front door. But the famous Westendorf ski lift, the Alpenrosebahn, is also pretty well around the corner. A more than ideal spot for winter sports. The spacious residence takes up the entire first floor and has its own entryway. The apartment is equipped with security windows. 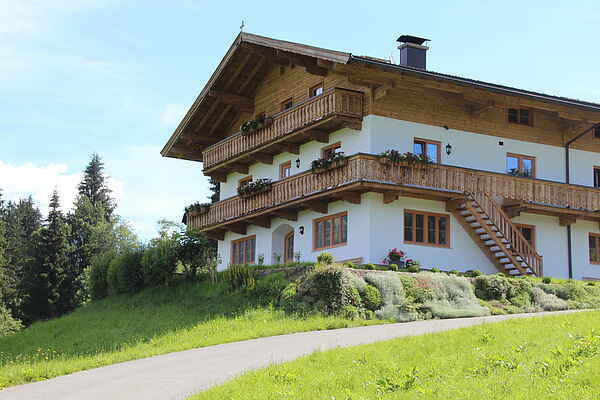 You will have a breathtaking view of Westendorf and the new golf course from the balcony. Barbecuing is not allowed.